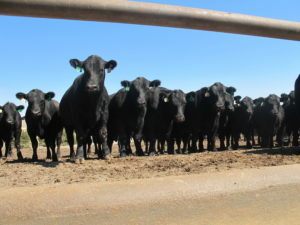 TBeef has launched a feed efficiency trial that will be an ongoing project at Chappell Feedlot. The is in conjunction with the American Simmental Association’s Feed Intake Project. Past projects done at the University of Illinois have yielded a wealth of information. Heritability estimates from that project were found to be .22 for Dry Matter Intake (DMI) and .20 for Average Daily Gain (ADG) with a .76 genetic correlation between them. The desired genotype, of course, is a low DMI and a high ADG. The high genetic correlation that we see is no surprise and it tells us that the desired genotype is difficult to obtain. Nonetheless, that is what we are breeding for and that is why we have launched our Feed Efficiency Project. On the plus side, the undesirable genotype of a high DMI and low ADG is rare. TBeef’s performance so far has been pleasing. Most feedlot operators will tell you they always want to be below a 7:1 feed conversion ratio (lower is better). They’ll say anything below 6:1 is good. The TBeef cattle scored a 5.6:1 with an Average Daily Gain of 5.0 pounds. Moving forward, we will be selecting for those cattle that have an even more desirable feed conversion ratio (some of our cattle scored in the 4’s). The way to properly do this is by putting the data into a feed efficiency EPD and then directly putting it into the All Purpose Index (API) and the Terminal Index (TI). Cowherd Feed Efficiency is one of the most important traits there is. 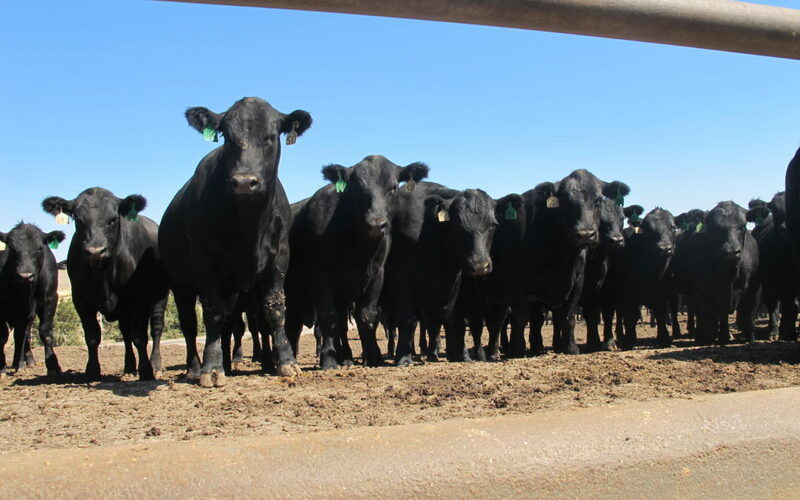 The correlation between Feedlot Intake and Cowherd Intake is not well known. What we do know is that the correlation between body size and feed intake is high. Therefore, in general, smaller cows will tend to eat less, have smaller maintenance requirements, and breed back better. This selection process is fine-tuned in API. For more information on the TBeef genetic program please contact Will Townsend at will.townsend@tbeef.com or (406) 548-5770.